We have a bud, ladies and gentlemen! 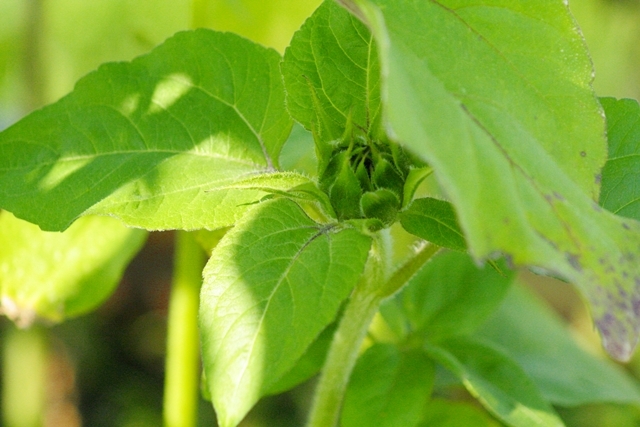 That’s right – one sunflower bud is on it’s way to flowering! Funny enough, this is one of the little guys that sprouted long after the others. 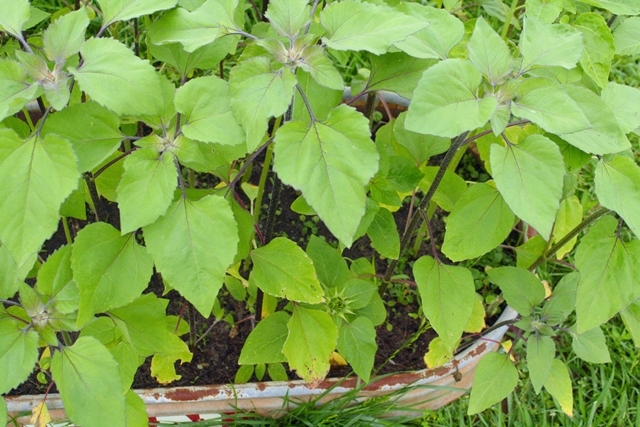 It’s only 14″inches tall while most of all the other sunflowers are now 3″ feet tall. 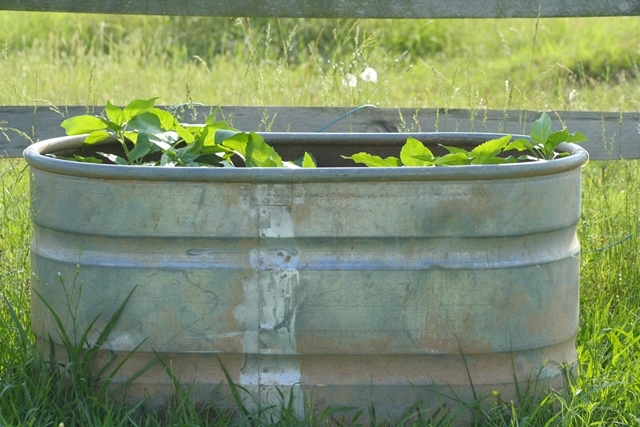 Do you remember Ms. Jeannie’s other garden patch project? The one that involved the hard to make, impractical but so so beautiful twig fencing? 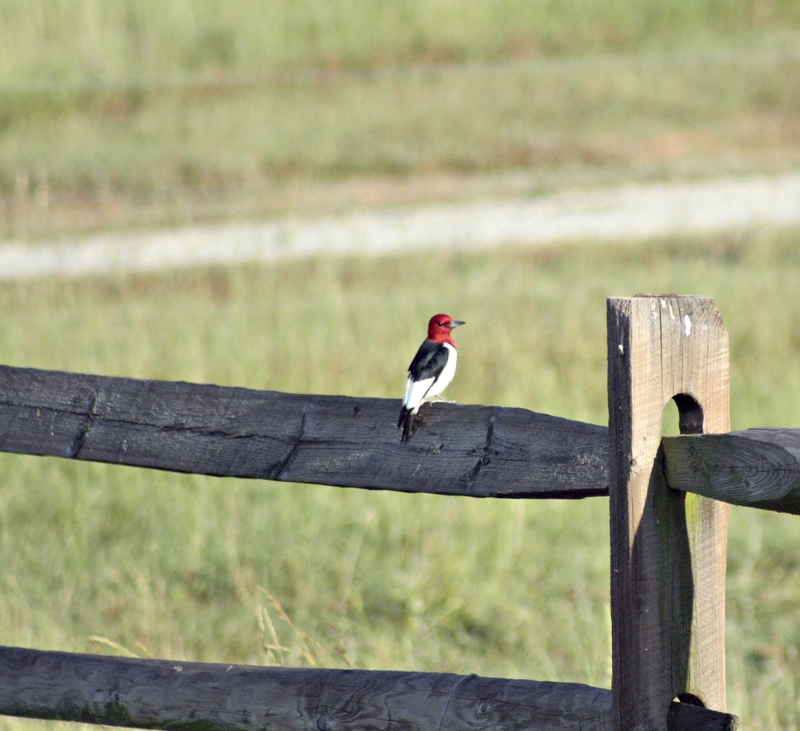 Well, Ms Jeannie discovered that yes indeed – it is definietly hard to make a twig fence. Hats off to all of you that have the paitence to muddle through such construction. Ms. Jeannie fears that she is a tad short in that department! After what seemed like a thousand trips into the woods to find perfectly straight, not too big, not too little sticks, Ms. Jeannie discovered that she had only gathered enough to build about 1/16th of her fencing. Goodness gracious! So the fencing plan was modified just a smidge. 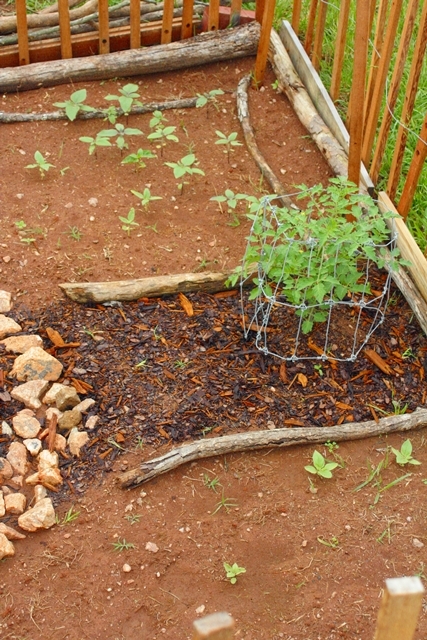 Ms. Jeannie wrapped her garden in 1″inch strips of hardwood and heavy duty steel wire instead. It is still impractical and won’t keep any sort of small critter out, but Ms. Jeannie loves it’s rustic look! 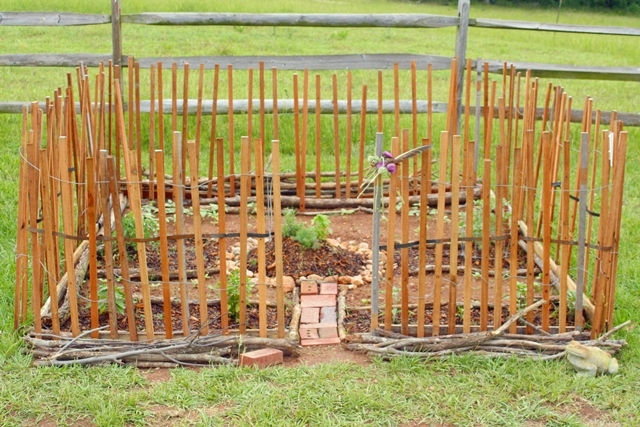 The twigs were re-purposed as a little decorative barrier at the front and back of the garden. Front entry still needs some sort of gate. Ms. Jeannie clipped some wild thistle and hung it at the entrance for a little early color. 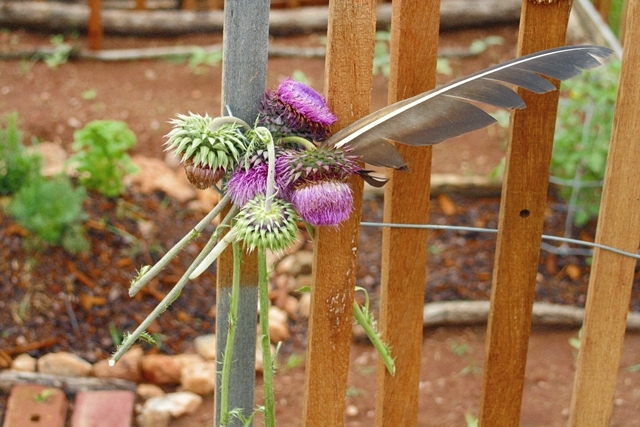 Mr. Jeannie Ology found a buzzard feather that same day, so added to the bouquet it was! 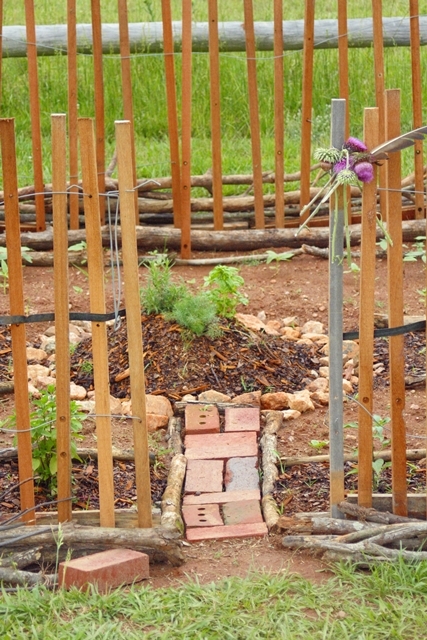 The vegetables and herbs don’t seem to mind that the fence is sort of quirky. They just keep growing anyway! 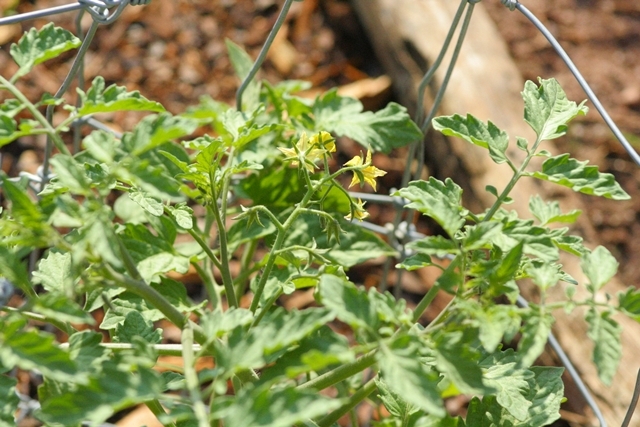 Both tomato plants are already flowering! 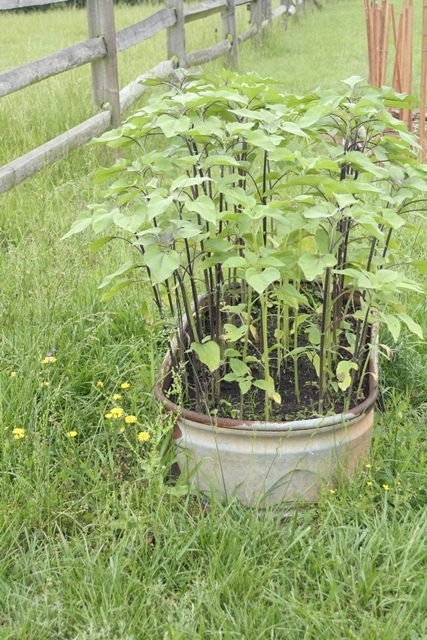 Tomato plant tucked between three different types of sunflowers, garden peas, snow peas and cosmos. The start of the tomatoes! 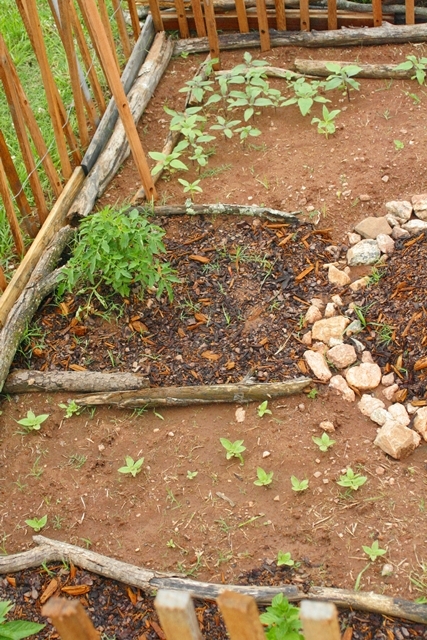 Ms. Jeannie also had to make some amendments to the garden after a cutting worm or two came to enjoy some sprout salad. Ms. Jeannie has filled in the bare patches with cosmos flower seeds and peas around the garden edge. 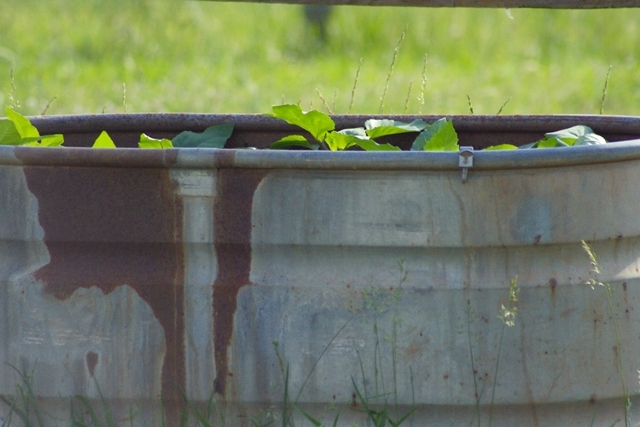 Besides the bin of three feet tall sunflowers, Ms. Jeannie also has two other water troughs full of sunflowers. They were planted a couple of weeks later then the initial batch of sunflowers to help stagger the bloom time, so they are just getting their soil legs now, so to say. This morning they were just peeking over the rims of the troughs.